Today’s technology has taken convenience to a new level, and home automation is a prime example. 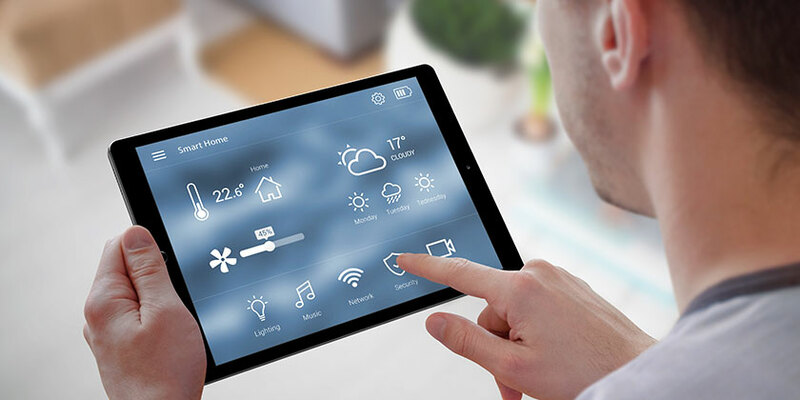 Smart home technology connects practically everything in your home—clocks, speakers, lights, doors, door bells, cameras, windows, window blinds, hot water heaters, appliances—to the Internet, allowing you to monitor and control them remotely. What all can do you do with smart home installation? Here are a few examples of the technology and how you can use them. There are a few different ways you can operate your smart technology enabled items. Smartphones, iPad, Amazon’s Alexa-powered Echo and universal remotes are all ways you can command your items to do different tasks. Your smart home installer will be able to advise you on which tool is best suited for your goals. One of the most popular uses of smart home technology is surveillance. Want to find out what critter is getting into your trash bin every night? Or see how your pups are doing while you’re away? Or just check on the baby who’s sleeping across the hall, without getting out of bed? You can easily monitor what’s happening inside and outside your home, from anywhere. No more worrying on the drive to work if you forgot to lock the door. Simply lock it from your car via your smartphone (at a stoplight, of course!). Many people love the security options available with smart home technology because they can unlock the door remotely when visitors arrive or when their kids get home. No need to risk keys getting lost. While you used to be limited to local home security providers to protect your home, today’s technology offers home security systems available anywhere. You can get connected with sensors, alarms, and everything else you need to keep your home secure. Wouldn’t it be nice to turn off the air conditioner before you head out for the day and then crank it up right before you get home? Or on winter days, turn up the heat from your bed on Saturday morning? There are many different smart systems to choose from, some with the ability to sense temperatures in different areas of the house. Get complete control over all the lights in your house, from anywhere with smart lighting. You can turn lights on or off while you’re out, set your lighting from various locations in the house, or even change the color of your lighting at different times. Imagine waking up in the morning and clicking a button from your bed to start your morning coffee. Arrived at work and can’t remember if you shut off the stovetop? Simply double-check on your phone and turn it off remotely. You can automate nearly everything in your home, including your blinds and a water shut off if needed. This is just a sampling of what all you can do with smart home installation. Want to learn more or talk about your project? Give us a call at (864) 881-1675.